While many workplace accidents are the result of unsafe work environment and the failure of employers to provide adequate safety equipment or warnings, the correlation between employee training and the risk of accidents is often overlooked. 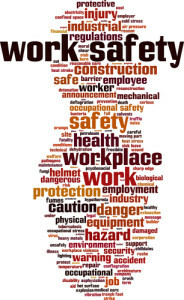 If an employee brings unintended harm to one of his or her coworkers, it is easy to label that worker as negligent, reckless and irresponsible, but it is also quite possible that the employee never received safety training or lacks the credentials needed to perform his or her job function in a safe manner. If education can reduce the number of injuries occurring on the job, employers need to ensure that they provide ongoing training on safety related concerns. Poorly trained employees are a danger to themselves and those who they are working with, and this is not because they choose to be or act in a willfully negligent manner. There are many ways in which training can improve performance and reduce the risk of injury and just as many ways that a lack of proper training can spell disaster. Following are some of the ways the adequacy of training can be tied to the risk of injury. Employees are unqualified for their positions. While on the job training is an invaluable educational tool, employers are often in a hurry to leave new employees to their own devices. This sink or swim approach can be dangerous because if the employee hasn’t shown that he or she can work safely, the risk of a workplace accident increases. Employees are not provided adequate safety procedures or protocols to follow. Everyone knows that using machinery is dangerous and can present a risk to those using it and others in their immediate surroundings. Informing a work force on the proper ways to limit these risks and to respond in an emergency will greatly reduce the chances that workers will put themselves and others at risk. Safety checklists and protocols shouldn’t just be established for workers— they should receive training that educates them on safety procedures and how to abide by them. New employees are not properly supervised. When a worker is receiving training on the job, it is important for his or her supervisors to remain with the employee and put an immediate stop to any action that risks the worker’s wellbeing or that of other workers in the area. Employees are not provided detailed information concerning the risks that are specific to their occupations. An example of this would be apprentices on construction sites not being provided information on how to avoid electrocution, how to prevent falls from scaffolding or ladders and what forms of personal protective gear is needed on the worksite. Employers do not keep accurate records of the training and qualifications their employees have received. It is important before attempting to find a solution to any problem to be able to evaluate where you stand. All employers should be aware of the strengths and weaknesses their employees possess and tracking their training and qualifications is where this process begins. In addition to making the workplace safer, it helps employers use their resources effectively by providing training to those who need it the most. Failure of employers to determine whether an employee is suited to his or her tasks. Despite the best training practices, people may not be able to perform their duties and could be best utilized in an area or field they would excel in. Ensuring that employees understand their duties and can prove their proficiency will go a long way toward providing a safer work environment. Employees are not provided safe alternatives to practices that commonly result in injury. Examples include the failure to illustrate how a worker can best lift heavy objects without strain to the back, failing to educate office workers on how to avoid excessive eye strain when sitting at a computer, or the correct way to handle chemicals without exposure to the skin, face or eyes. Whenever a workplace accident occurs, both the victim and employer are in a hurry to point fingers. The victim is often blamed for not being careful enough, a coworker is accused of negligent behavior or the employer is faulted for not providing a safe work environment. It can be hard to determine which claims are actually true. The coworker who operated a dangerous piece of machinery may be responsible when causing an injury to another; if he or she was never instructed how to use the machinery in a safe manner, the employer can share liability. If a piece of heavy machinery injures someone due to mechanical failure, it may be determined that the person operating the equipment never performed a safety check prior to his or her shift. If the employer never educated the employee on how to conduct such a check, the liability can shift to the employer instead of the employee. Safety training needs to be an ongoing process that involves and engages all employees so that they are constantly learning how they can protect themselves and others. In addition to worker’s compensation benefits, you may be able to recover compensatory or punitive damages from your employer if it is determined that your accident was the result of employer negligence. If you’ve been injured and feel that your employer did not provide adequate safety training or equipment to its employees, you should seek legal representation and review your legal options including third-party lawsuits.